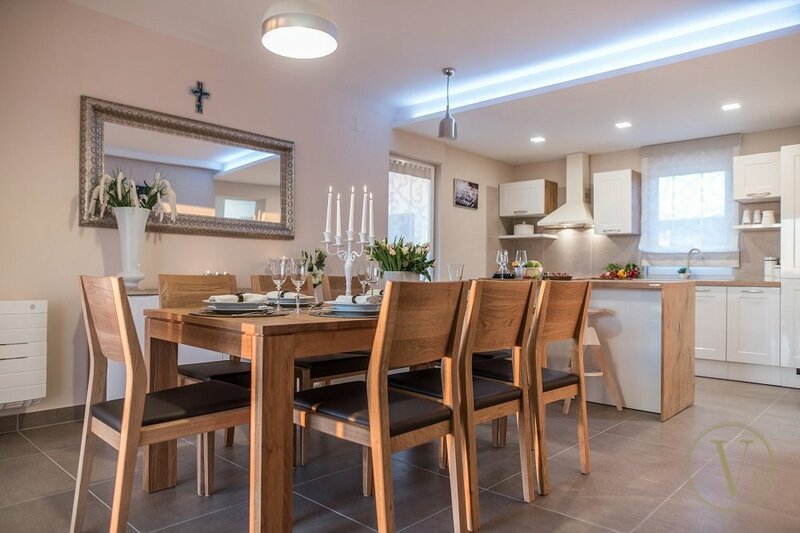 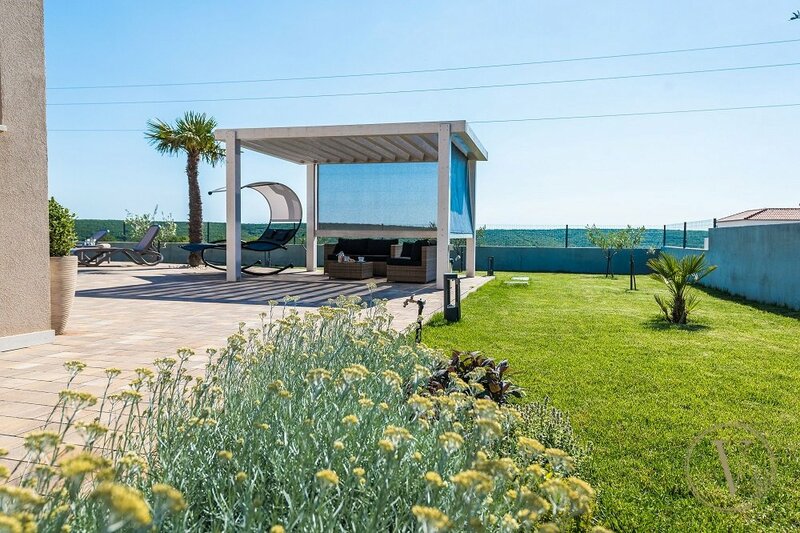 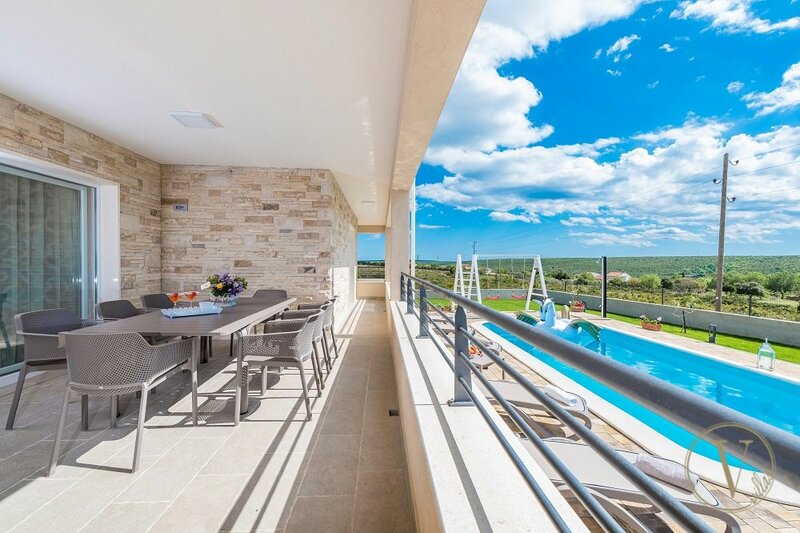 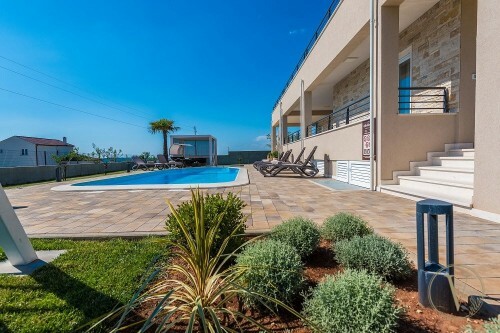 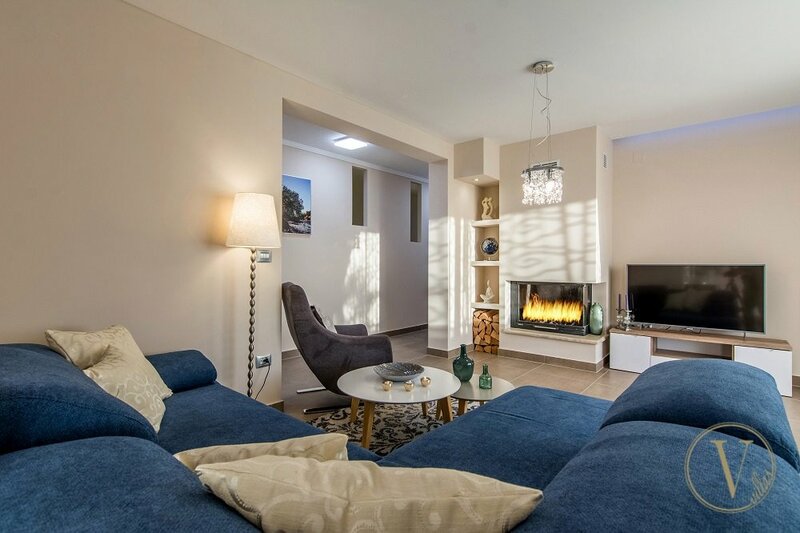 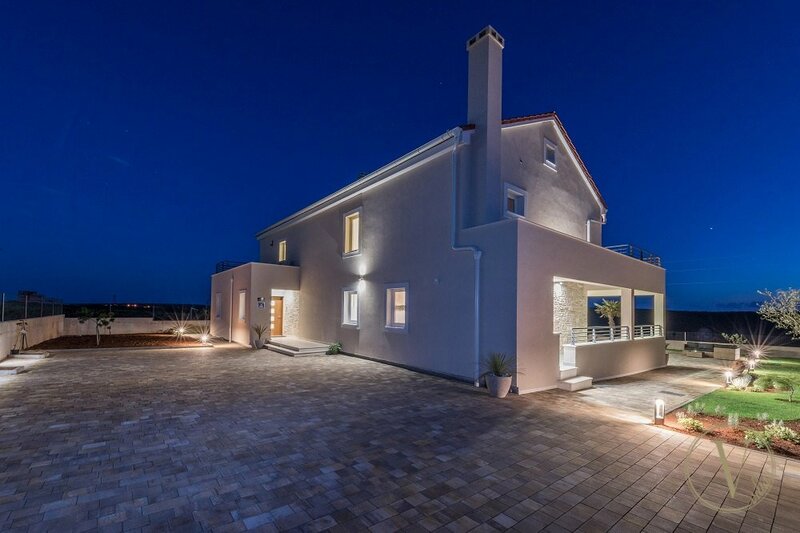 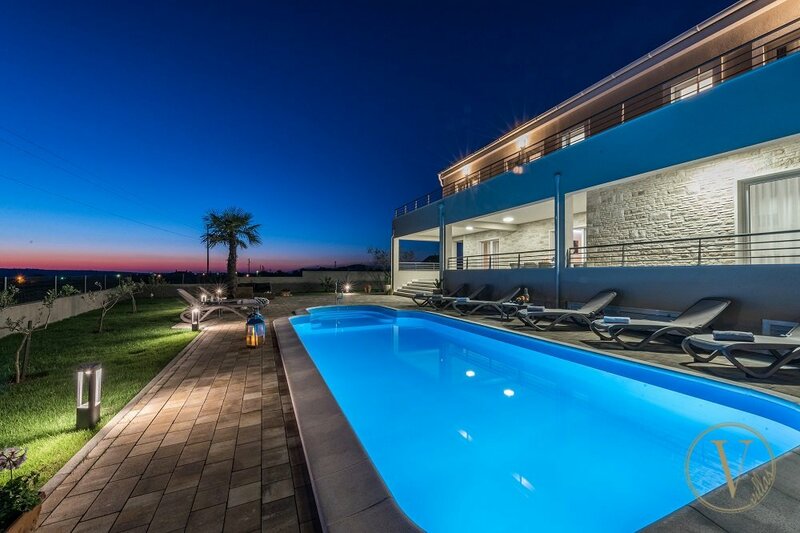 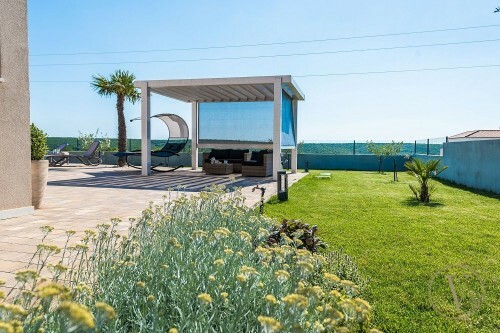 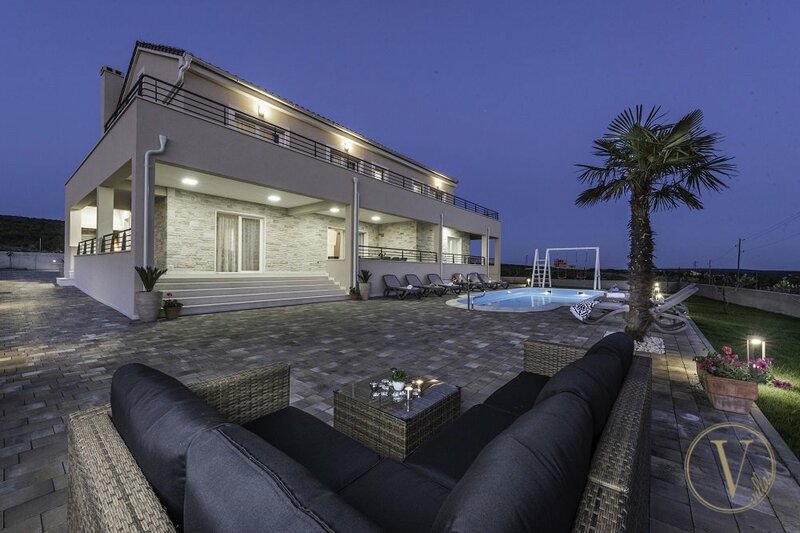 Traditionally beautiful, but designed with a contemporary feel, this light and airy luxury villa close to Zadar, offers the best of both worlds. 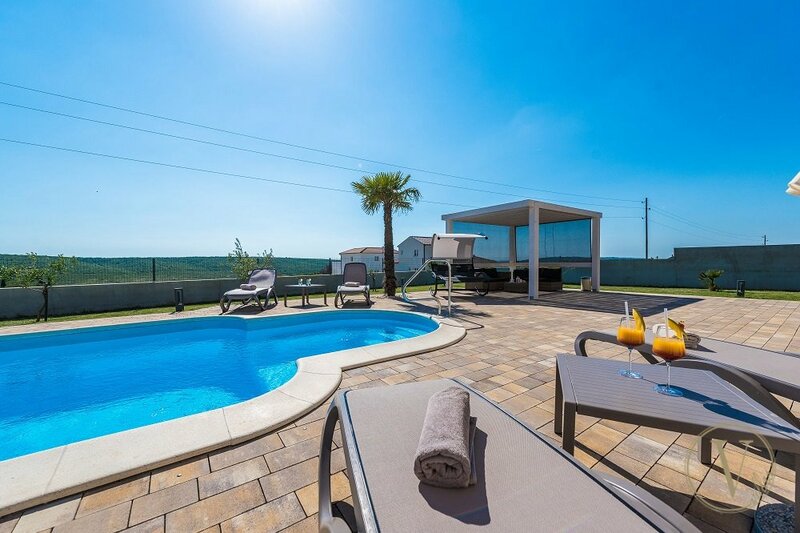 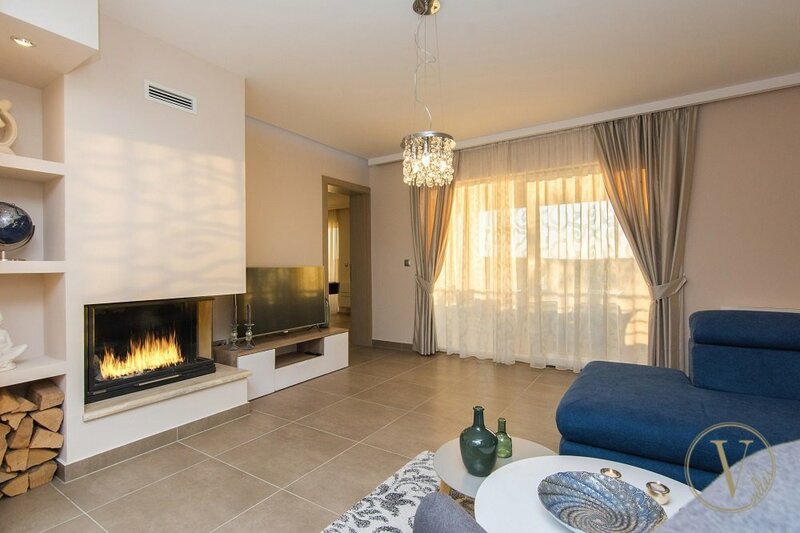 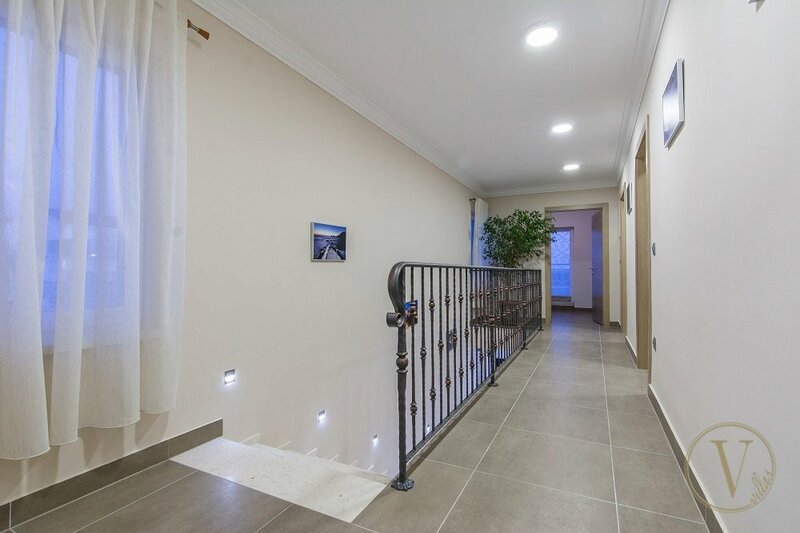 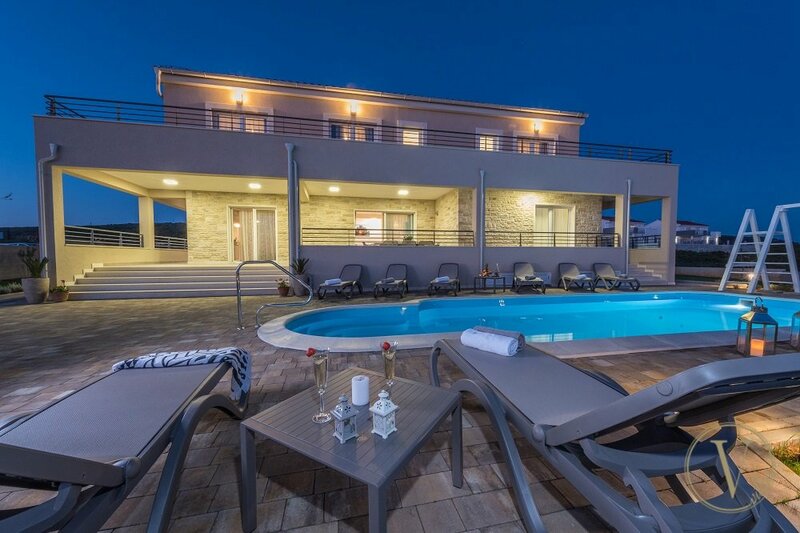 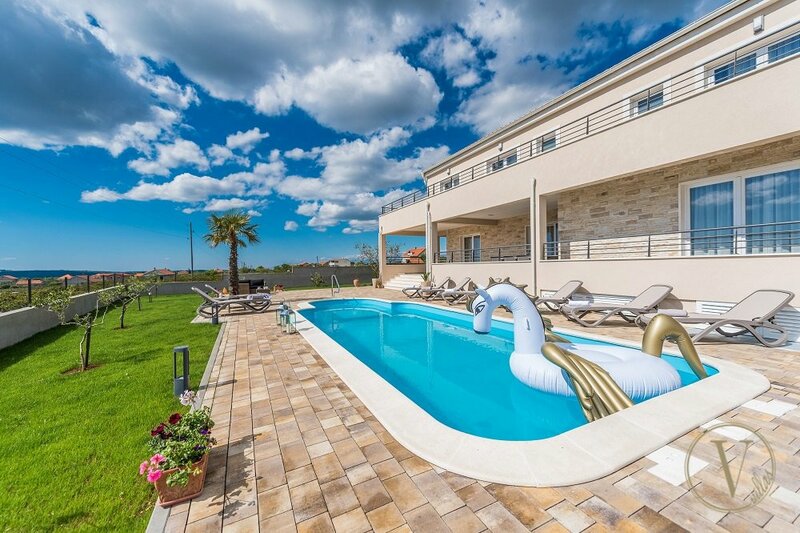 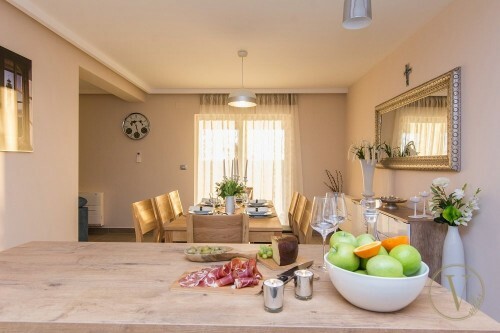 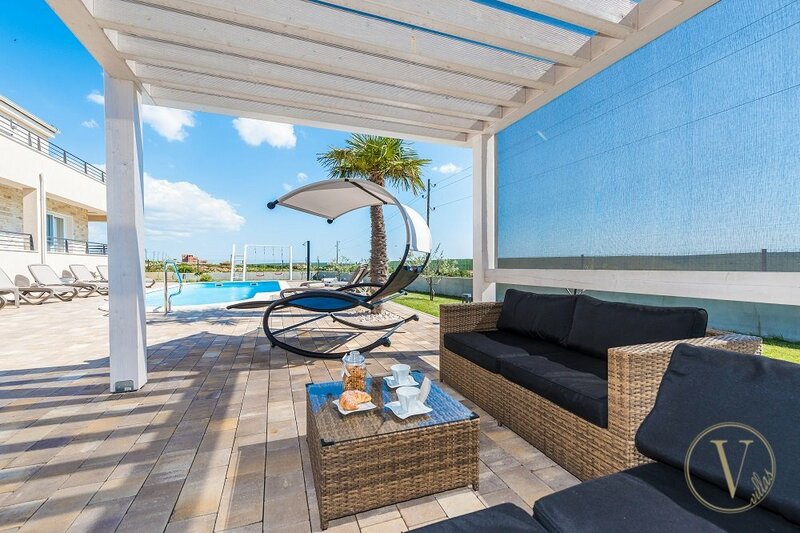 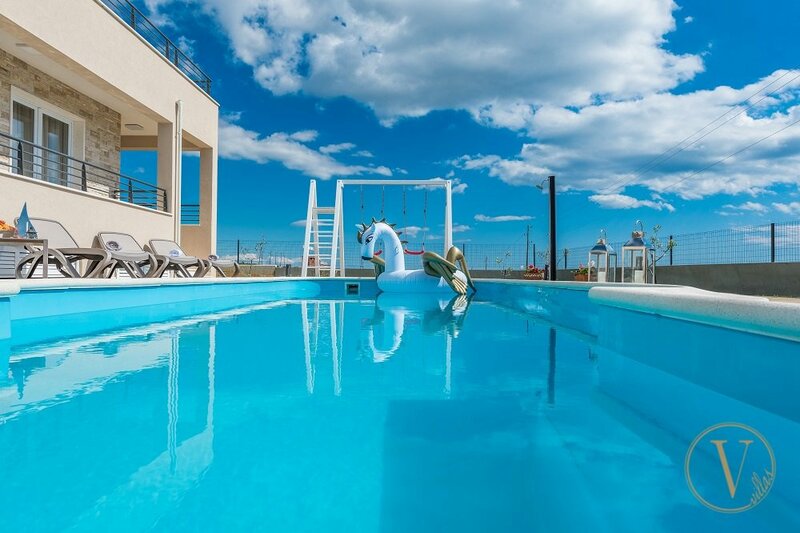 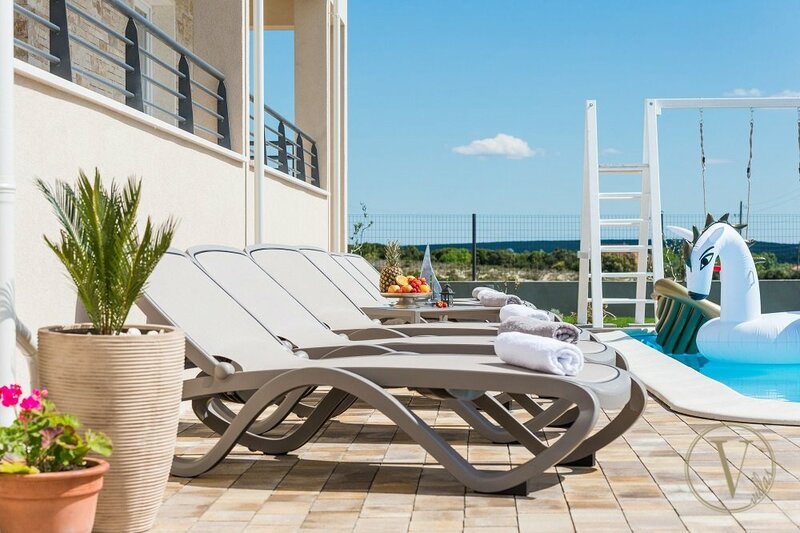 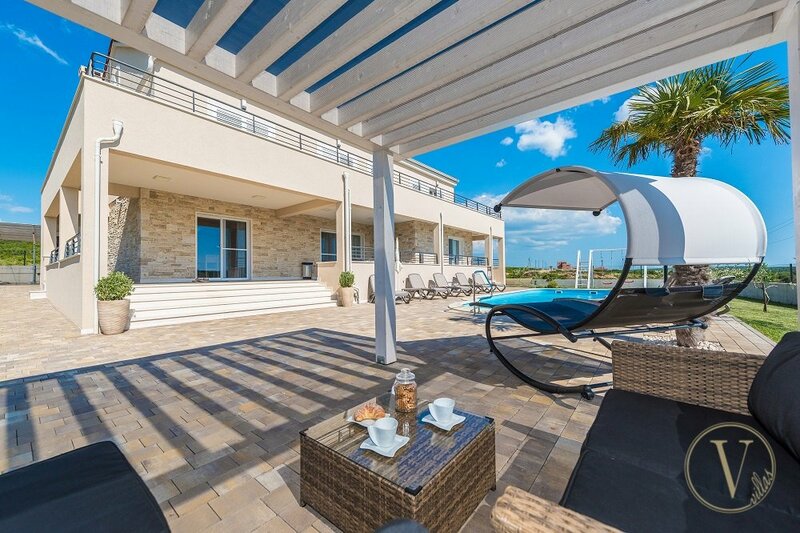 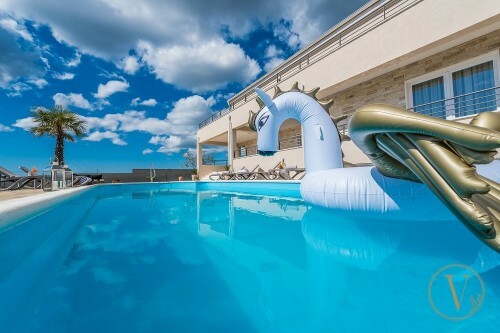 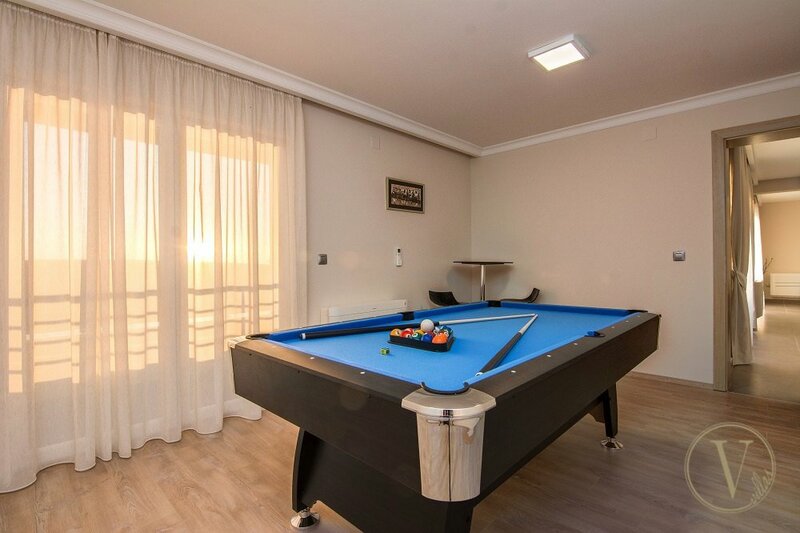 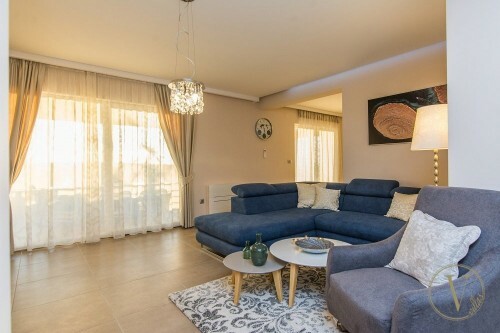 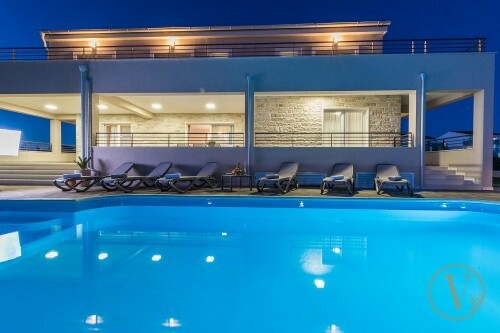 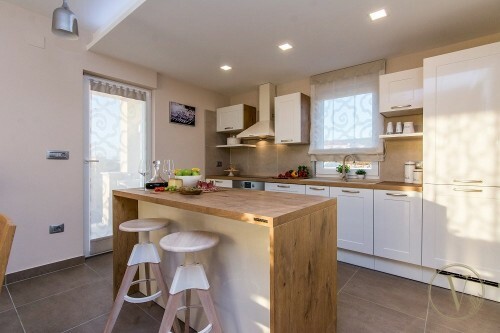 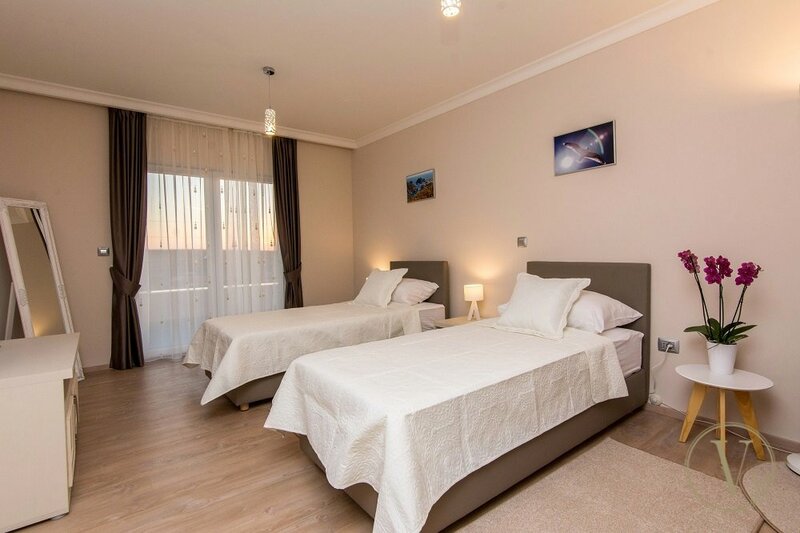 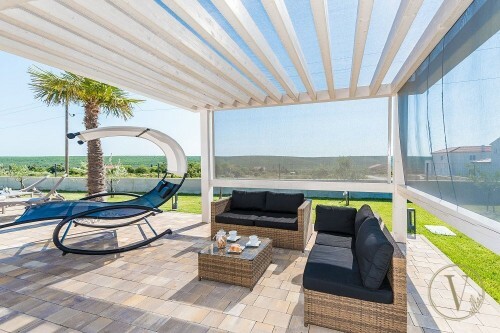 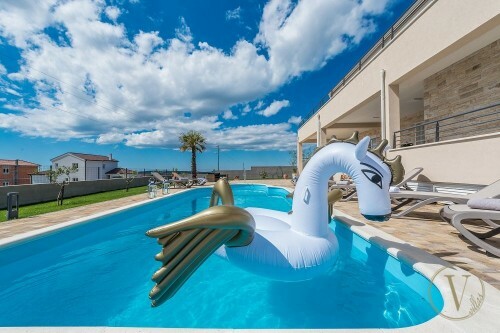 Villa Residence is a brand new, completely fenced property, ideal for families with kids or group of friends. 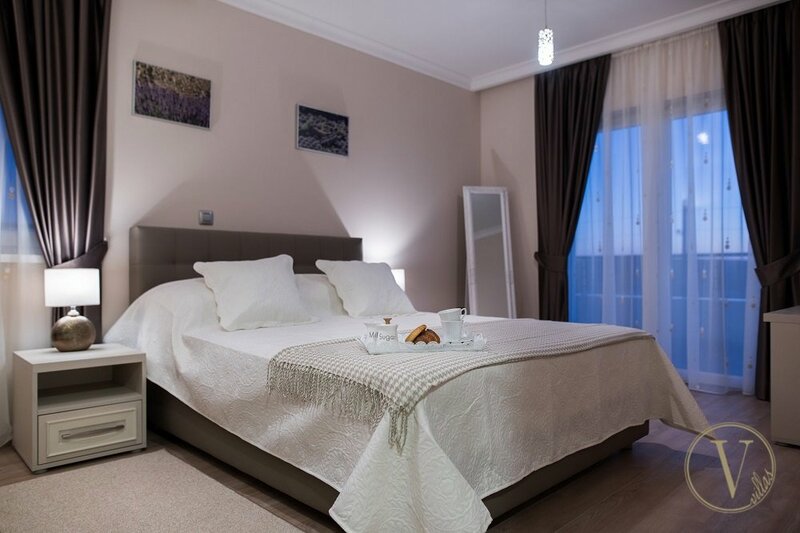 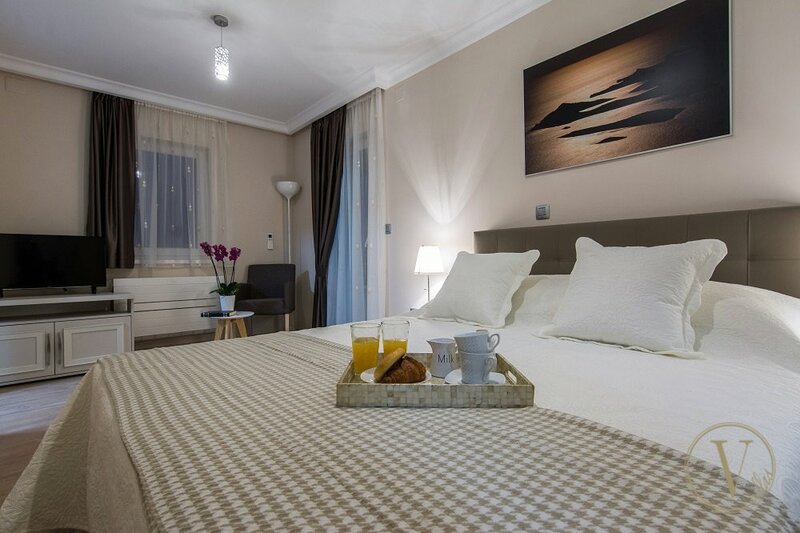 The villa itself has four spacious and airy, tastefully decorated bedrooms. 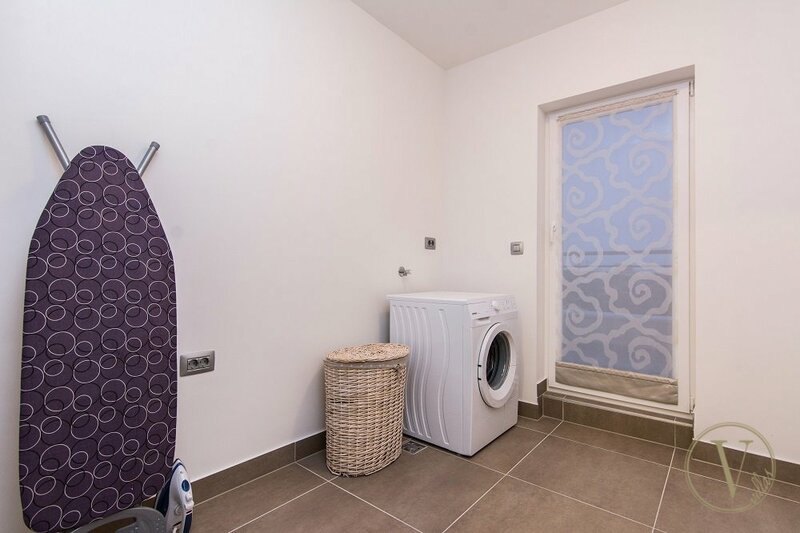 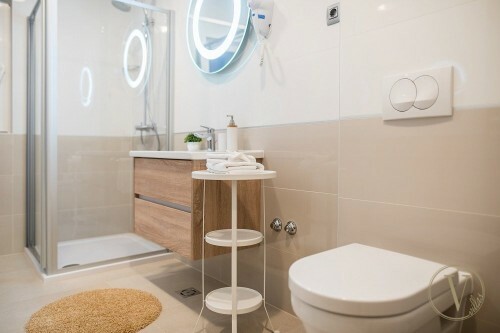 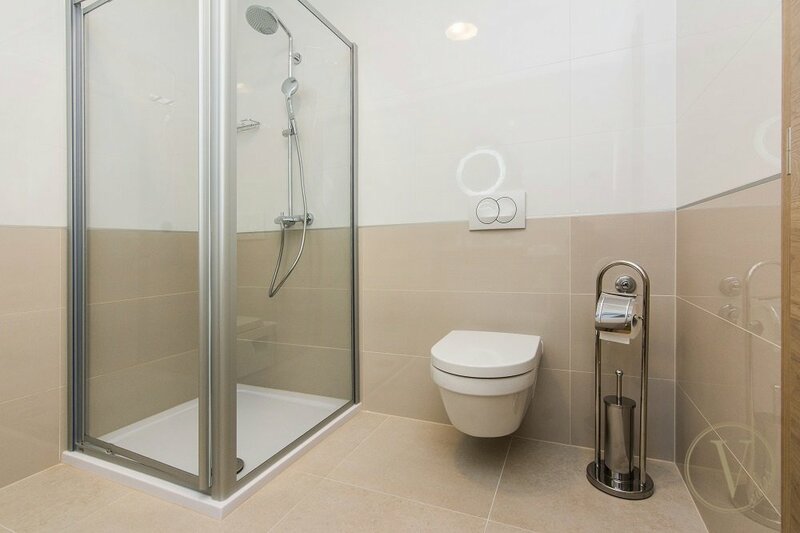 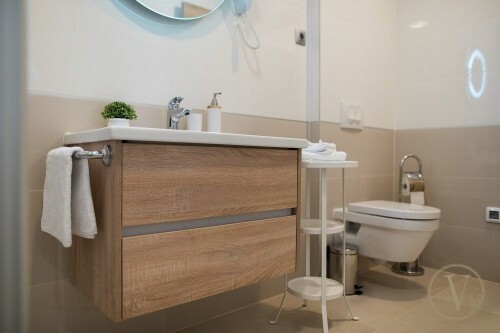 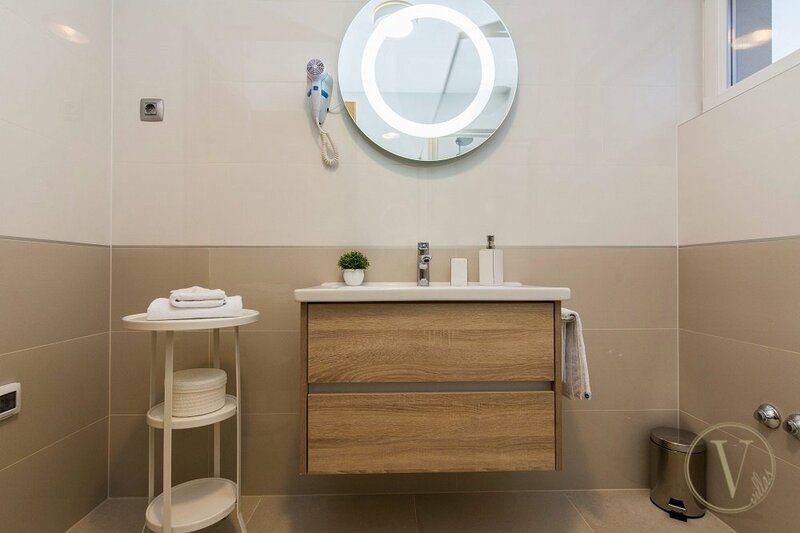 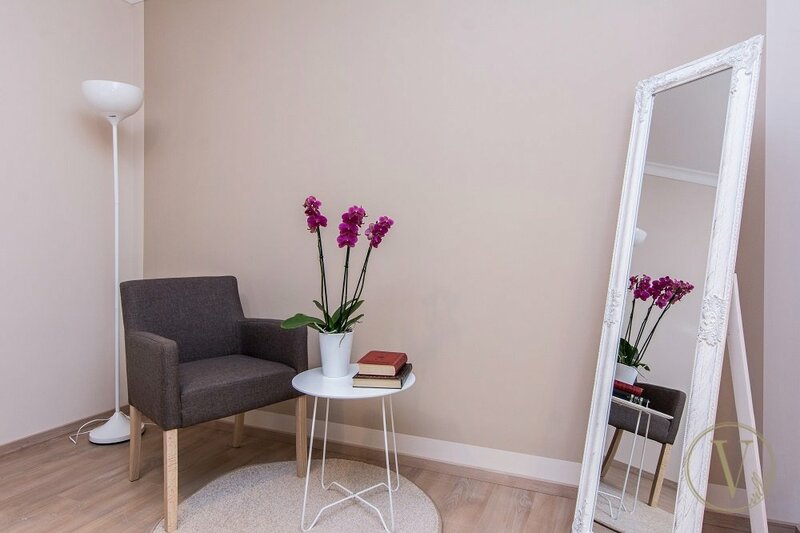 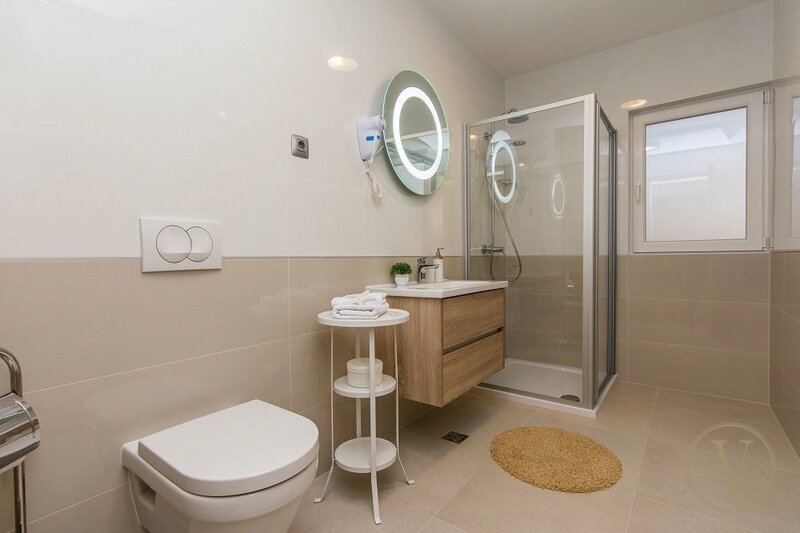 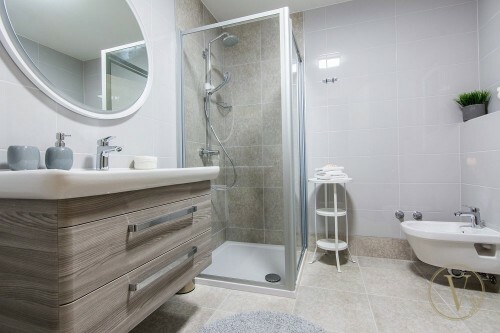 Each en-suite bathroom is finished to equally high standards. 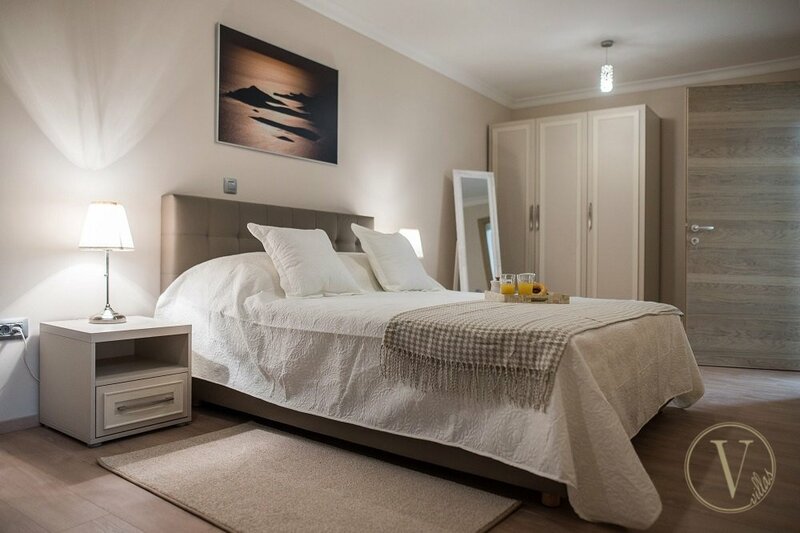 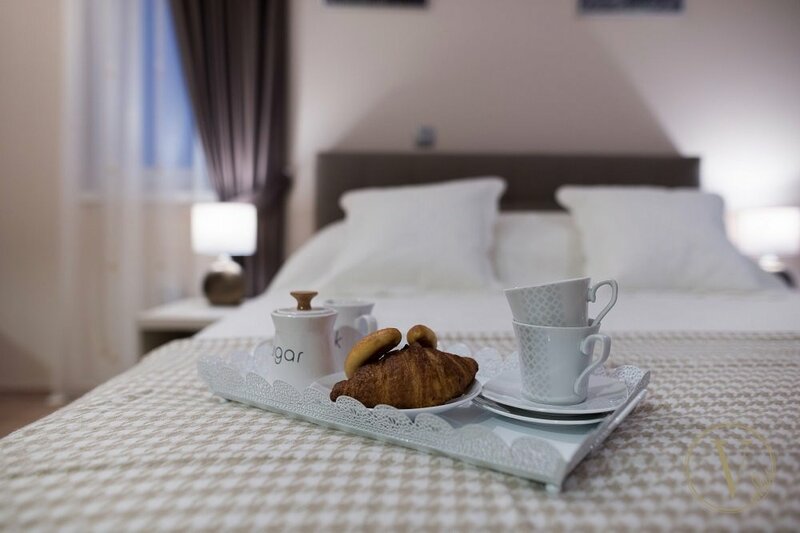 All bedrooms open straight out onto the terrace so you can enjoy a quiet coffee while taking in that amazing view. Downstairs, a smart but laid-back living space with huge sectional sofa gives you somewhere to cool off in the heat of the day, or catch a sneaky siesta. 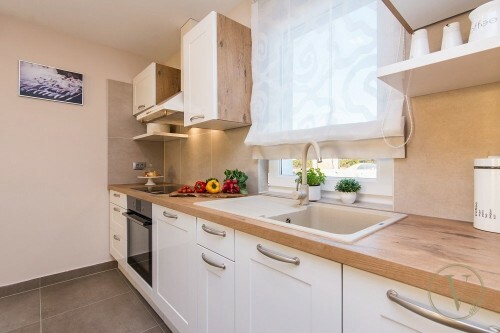 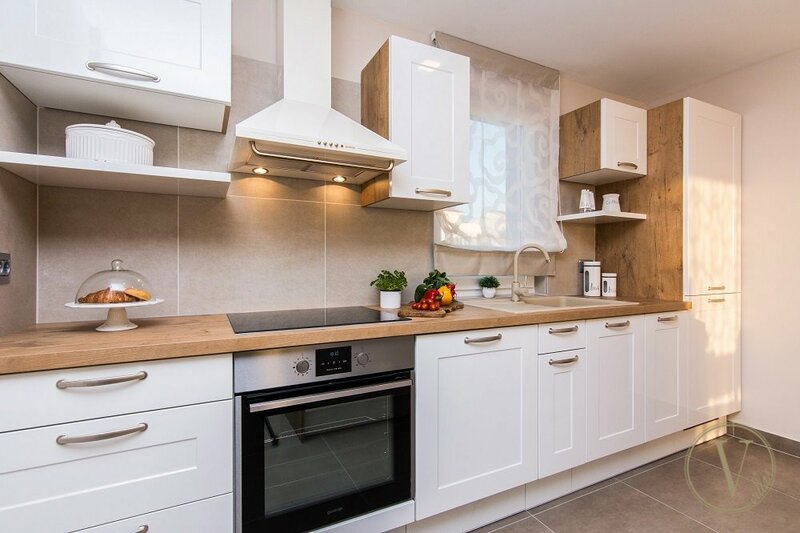 A very well-equipped kitchen will get foodies excited - it’s the perfect place to spend an afternoon experimenting with the wonderful local ingredients. Just off the modern kitchen is a casual dining room with wooden table and chairs, perfect for gathering with your party to enjoy a few pre-dinner drinks, looking out over the shady terrace and private swimming pool beyond. It must be said, however, that the real star of the show is outside the property. 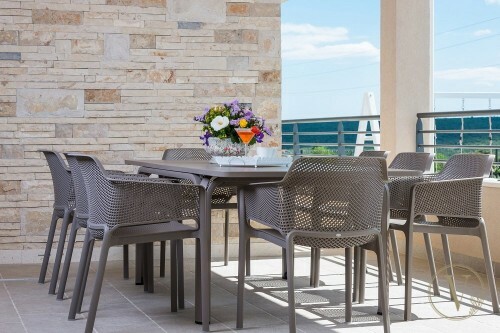 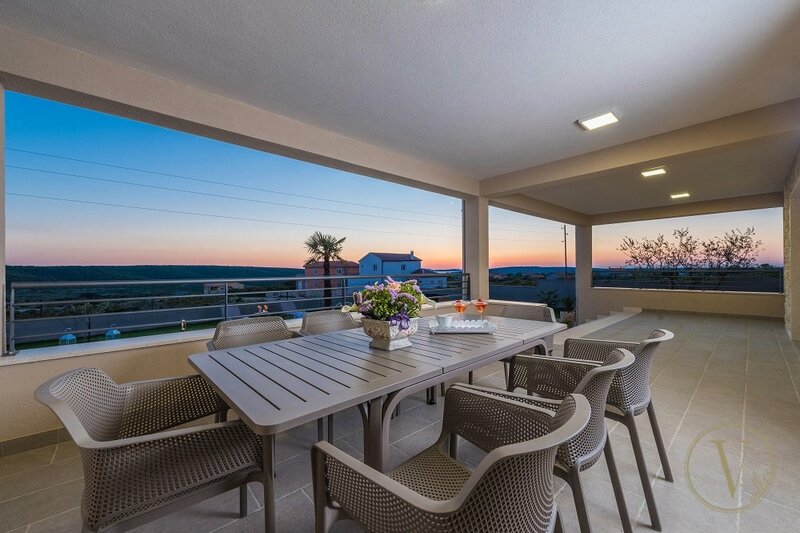 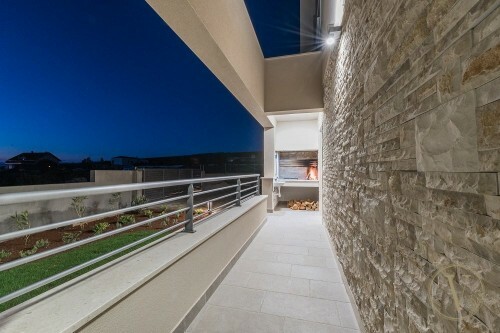 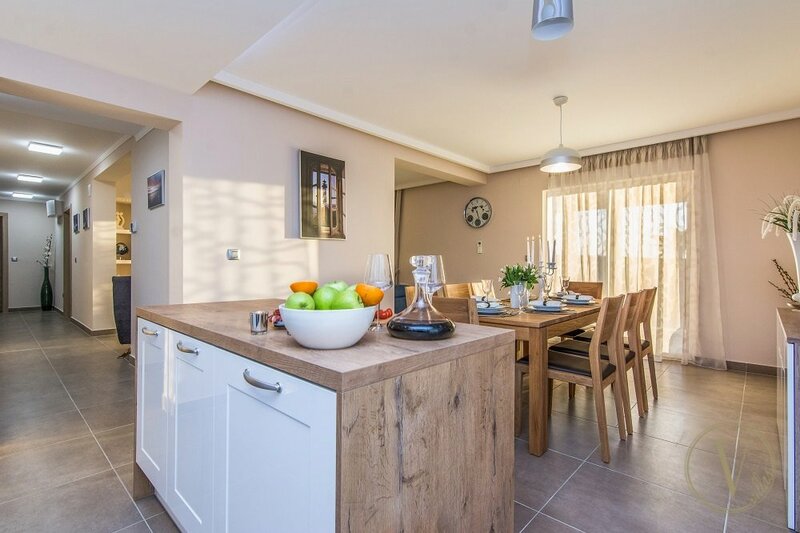 With an outdoor wood-burning BBQ and a wonderful al fresco dining area, covered and enjoying great views, you’ll find you live much of your life outdoors here. A wonderful swimming pool is the perfect spot to relax and enjoy the day under the sun. Perfect for a family holiday or a break with friends, Villa Residence has a really secluded feel, yet is only minutes away from the beach. 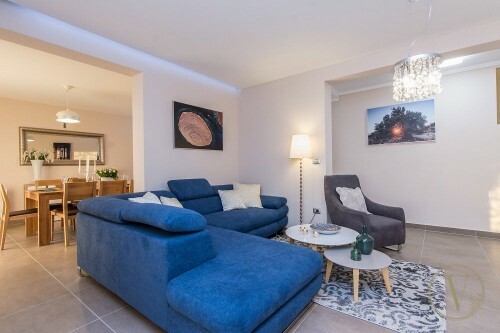 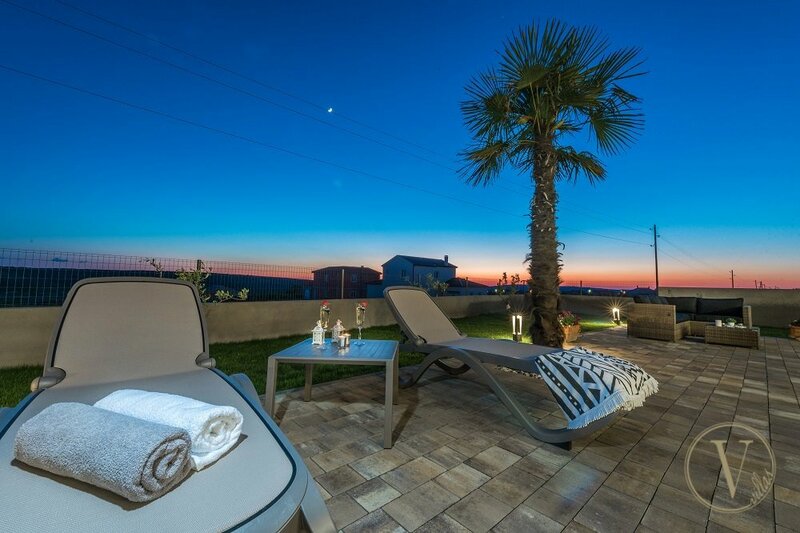 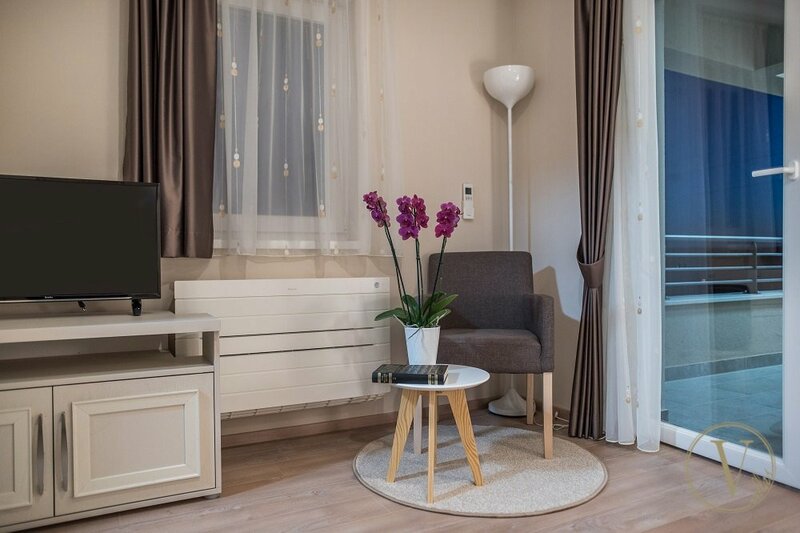 Beautiful Villa Residence is located in a peaceful village of Debeljak, just few kilometers from the beaches of Sukošan and the vivid life of Zadar. 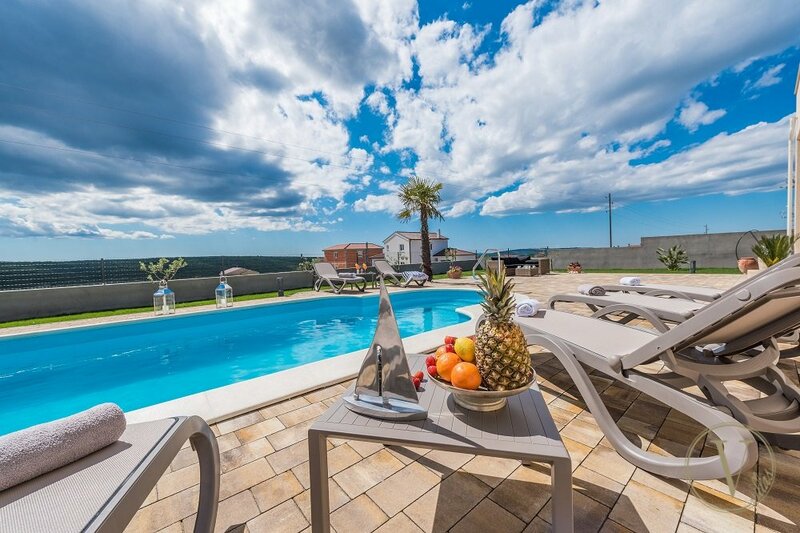 Sukošan is a small town situated in a wide bay called Golden Harbor (Zlatna Luka), on a coastal Adriatic road 7 km south - east of Zadar. 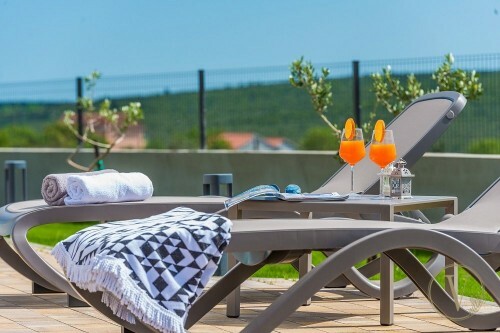 Boasting an historic old town of Roman ruins, medieval churches, cosmopolitan cafes and quality museums set on a small peninsula, Zadar is an intriguing city. 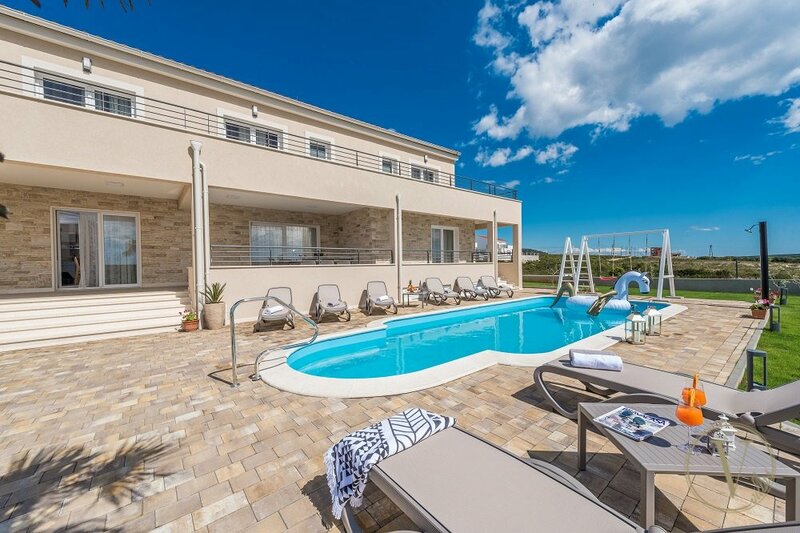 It’s not too crowded, it’s not overrun with tourists and its two unique attractions – the sound-and-light spectacle of the Sea Organ and the Sun Salutation – need to be seen and heard to be believed. ‘Drama is life with the boring part left out’ Hitchcock said on one occasion. 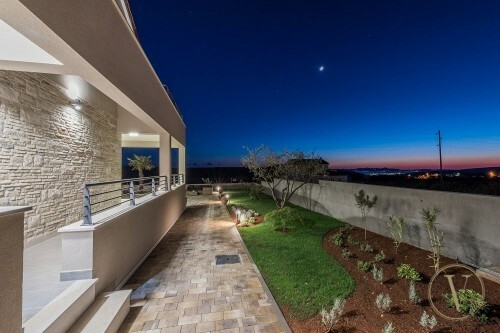 He could have said the same for all the drama of the sunset, symbol that has always remained in Zadar´s company. 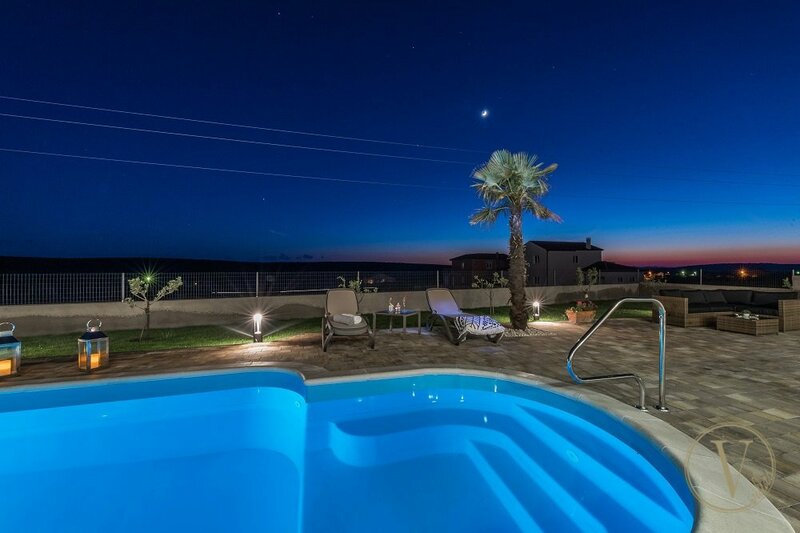 Pool heating with heat pump on request, available only from 01.05.- 01.11., free of charge. 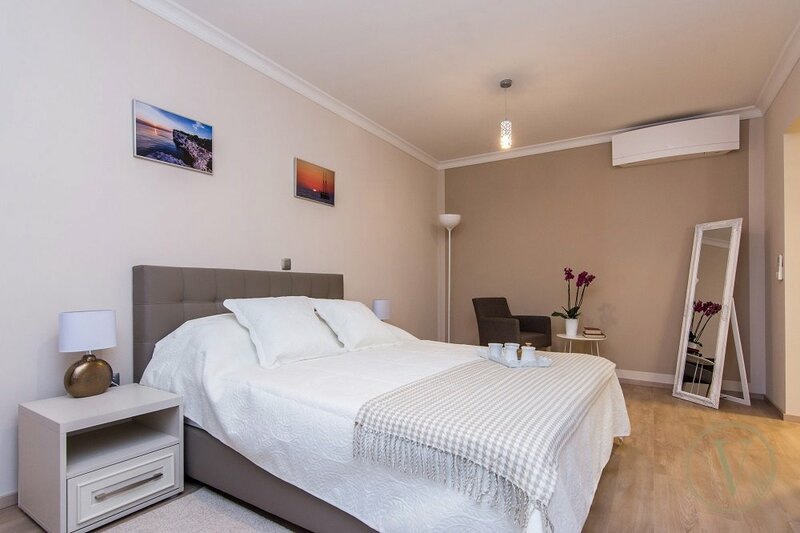 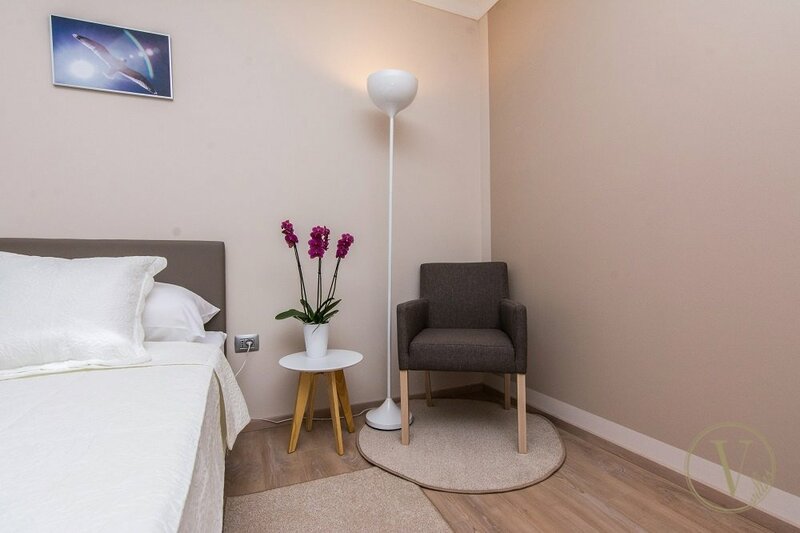 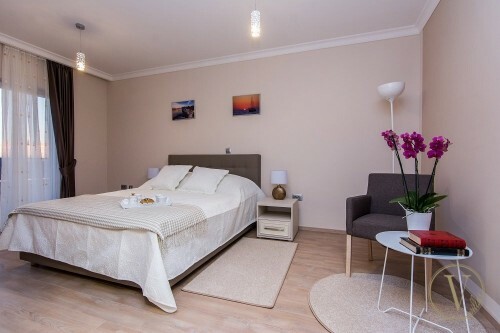 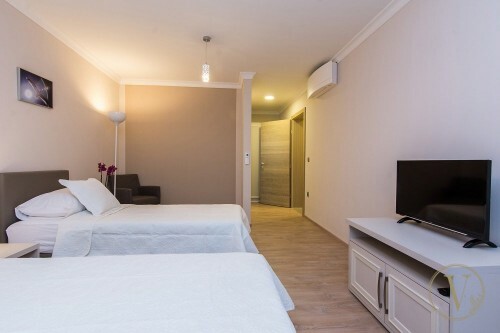 All bedrooms have Wi-Fi, A/C, SAT TV and exit to the balcony/terrace.